Ok, who’s ready for some nature-themed PowerPoint templates? 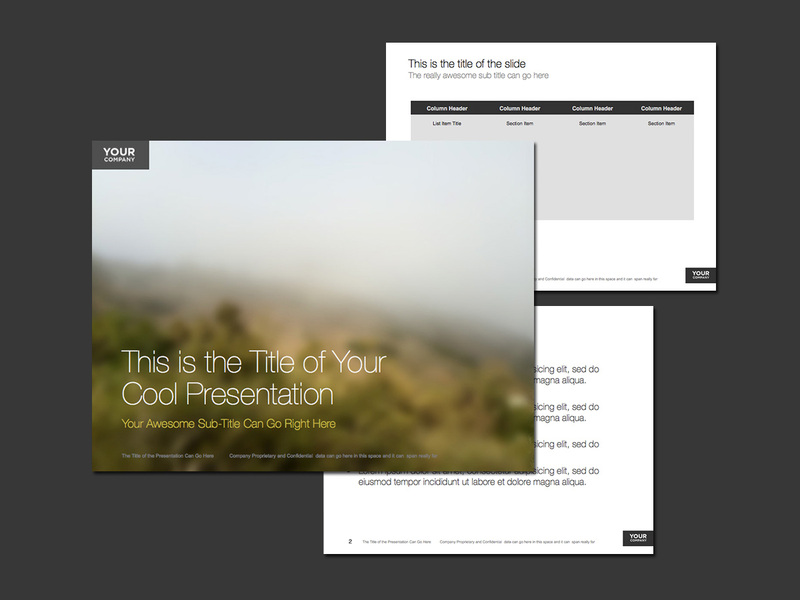 Of all the types of ppt templates I create, these are by far my favorite. I guess I’m just a sucker for nature scenes, and combined with my love of photography, it makes sense that this is something I could do all day / every day. I recently drove across the USA in less than a week, and even though I told myself that I was on vacation and I was not allowed to do anything work-related, I couldn’t help but to take some pictures along the way for the sole purpose of being used as background images for beautiful PowerPoint templates. The image on the cover slide of this deck is one of those images, which I shot during a short break along the side of the road just west of Roswell, New Mexico. 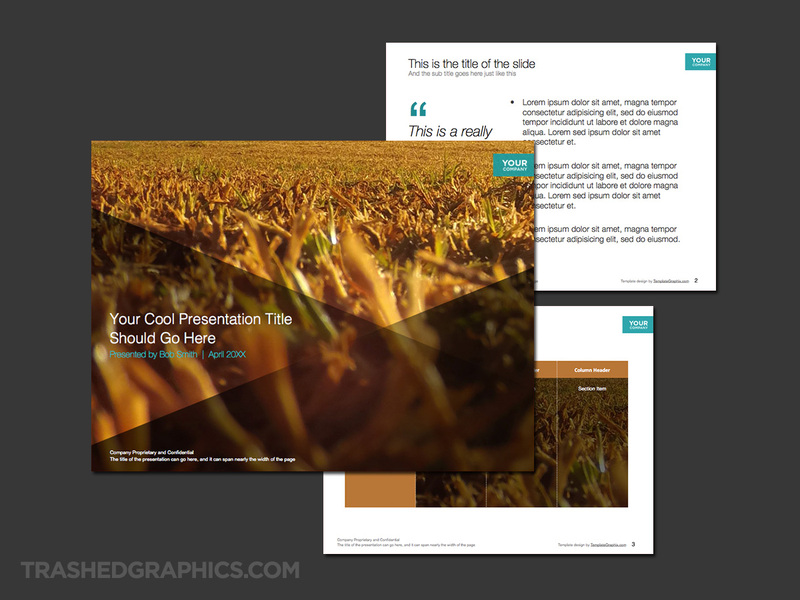 Fully editable Microsoft PowerPoint presentation template with a western plains theme. I’m thinking it’s somewhat unfortunate I didn’t get any cowboys in the pic for the cover slide, but oh well. I’m not really sure why, but I like using wide open landscapes as themes for nature PowerPoint templates. A little over a year ago I created one using a photo I took while standing in the middle of a vacant desert road in Arizona (the Desert Roads theme) and I thought the image of a straight road vanishing off into the horizon worked well as a metaphor for staying on track (or something corporate like that). The background image in this template doesn’t feature much of a road, but it carries the same sense of vast openness a sense of adventure that ties in nicely with inspirational business themes. I did struggle a bit trying to find ways to carry over the cover slide image into the interior slides, and in the end I simply chose to use the sky portion as the background of the sample table. And that’s it. There is a lot of texture in that image so using it as a backdrop (even very lightly) on a text-heavy page doesn’t work that well. 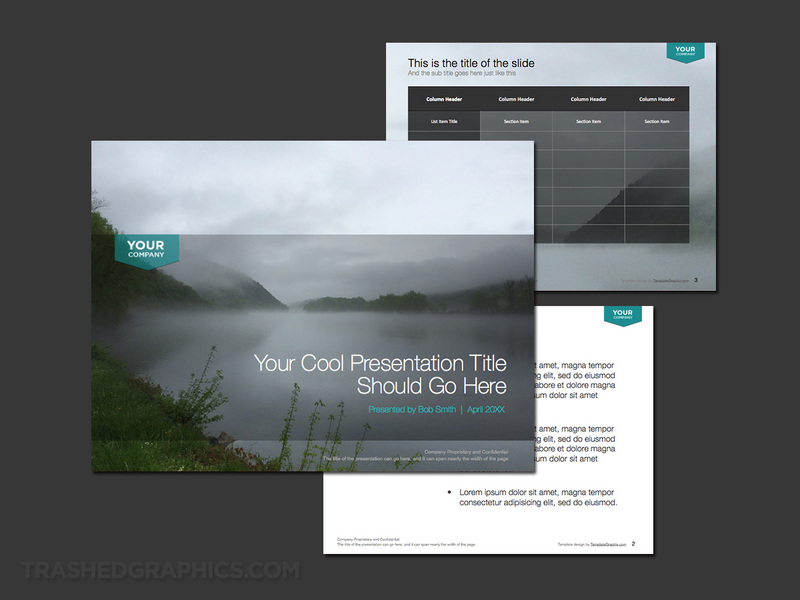 Oh – and I would like to point out that it would be very easy for you to create your own beautiful PowerPoint templates based on this one by simply replacing my images with yours. Just experiment with it a bit and you’ll see how easy it is to create a good looking theme using large powerful images like this. As I mentioned above, that 2,800 mile road trip across the USA was very productive in the sense that I came back with a handful of photos that work pretty well as background images for presentation themes. I didn’t set out on that journey for the sole purpose of getting content for freaking PowerPoint templates (how lame would that be? ), but the designer in me is always on the lookout for interesting colors and textures in everyday objects. One of the most interesting textures I captured was shot through the transparent roof panel of my car after a wet night in a hotel parking lot. Beads of water always look cool, and even more so when they are filtered with interesting colors. The transparent roof panel of the car I was driving had a deep blue tint to it, so the effect was really cool. 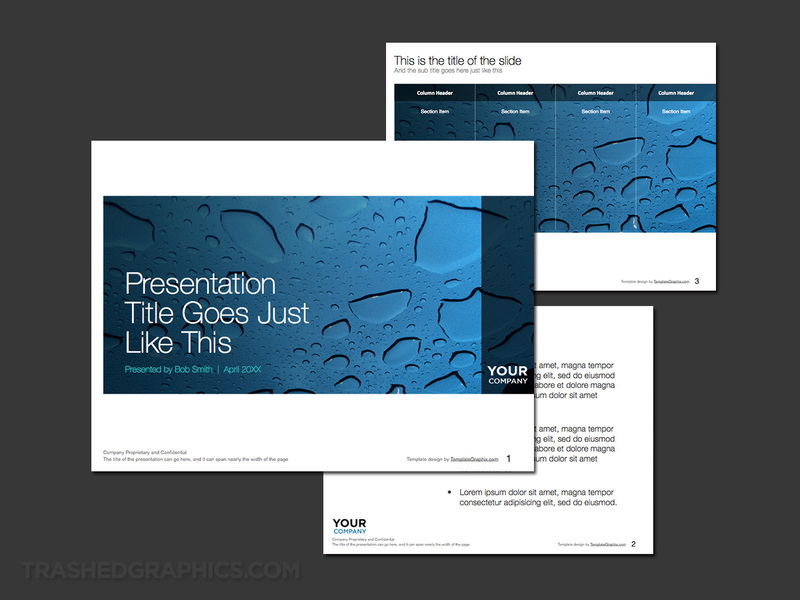 Fully editable Microsoft PowerPoint presentation template with a blue and white water drops theme. Fun fact: this is the roof panel of a 2015 Chevrolet Corvette! 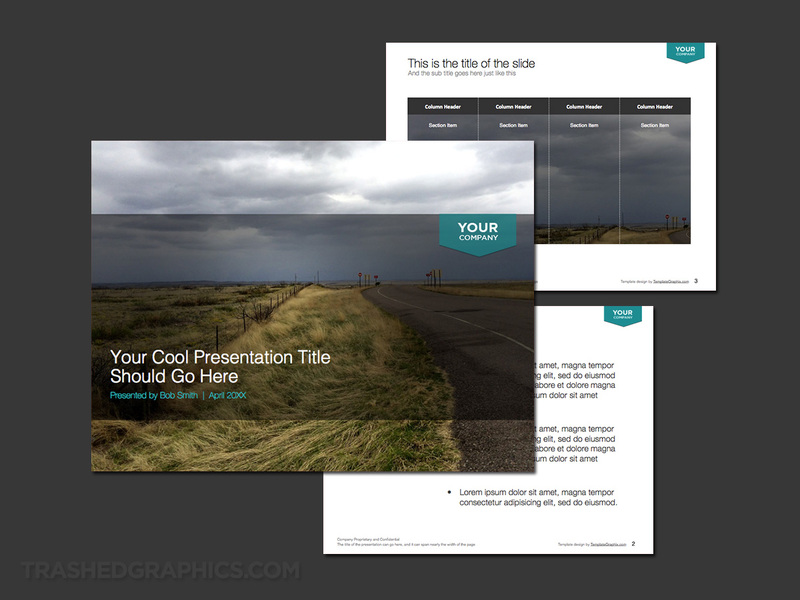 The cover slide of this three-page slide deck features that image contained within a narrow banner which spans the entire width of the page. 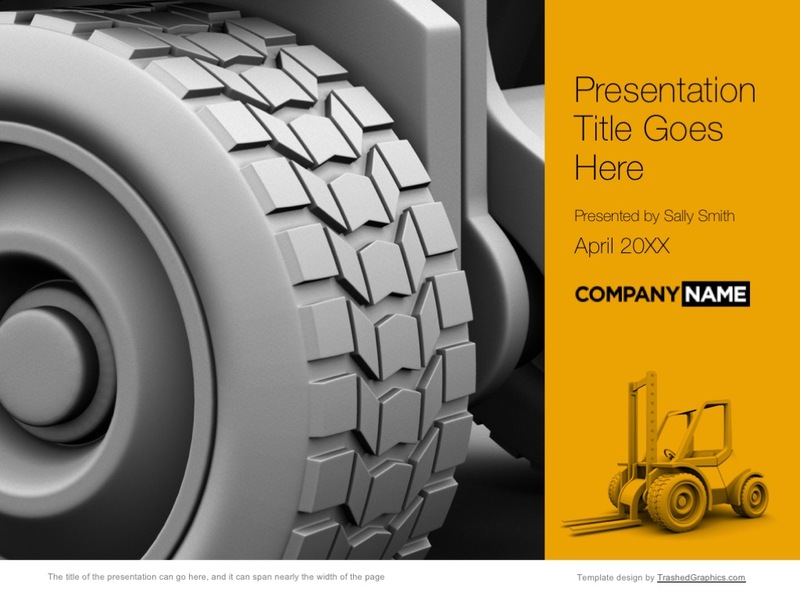 While title text (and a generic company logo) was laid over top without having to add any more detail to the image, though I did decide to run a transparent black banner down the right edge of the slide as a container for the logo. You could remove that if you’d like, and place your logo somewhere in the white space of the page if you prefer. Since I really liked how well the blue water texture was working with the white background of the master slides, I decided to carry over that same image into the sample four-column table just to give this theme a bit more visual punch. Again – it might be overkill for your needs, so I’d recommend a solid blue fill instead if you would prefer a simpler look. I really like the way this one turned out and it fits in perfectly with this collection of nature-based PowerPoint templates. I didn’t really care for the image right after I shot it (thought it was too busy), but blue and white is a nice combination – especially for corporate presentation templates that need to be somewhat reserved. The photo on the cover slide of this three-page nature PowerPoint template was one that I shot several weeks ago as I was taking a break during a long morning bike ride. This is the time of year in San Diego where thick fog is common in the early mornings and late evenings, and I love the way it seems to hug the hills and mountains around here. Mix in a little sun, and the result is usually breathtaking. Fully editable Microsoft Powerpoint presentation template. Foggy hills theme, showing the beauty of Southern California in the early morning. To be honest, I didn’t think much of the cover slide photo at all after I took it, and I came extremely close to deleting it shortly thereafter. The problem was that there wasn’t very much detail in the image, and there wasn’t a clear subject. I was too composed to be considered an abstract texture, so I had no idea what I could use it for. After thinking about it for a bit, I realized that it might make a nice backdrop for a “nature” PowerPoint template (which I didn’t realize was a thing at the time). The dark area of the hillside would be a good place to overlay text, while the light top section would be a good place for a logo. With that in mind, I dropped it into PowerPoint to see what I could do. The end result was something that I ended up liking quite a bit. I did find that the texure in the hillside was a bit distracting with light typography over top, so I blurred out the image a bit to make the fonts more legible. Much better. 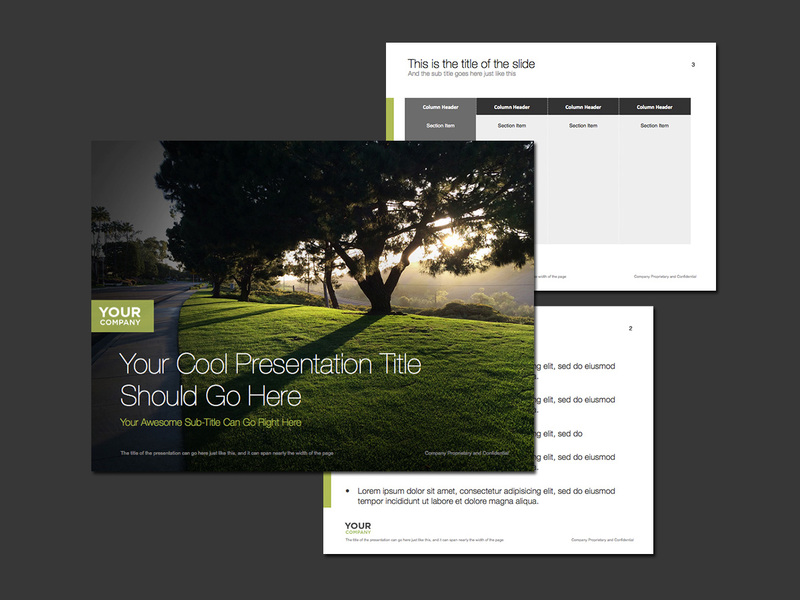 The elements on the interior slides use colors that are complimentary to that cover page image, and I think the overall template is something that would work well for environmental-type presentations – or any topic that has a “zen” vibe to it. I’m always taking photos during everyday life in hopes of capturing good images to use for side projects (such as nature PowerPoint templates of course) For example, the lead image for my Fishing Boats theme was a picture I snapped during an early morning stroll around San Diego bay way back in 2004. All of my photo-based themes come from my real life experiences – while I’ve never organized a photo shoot for the sole purpose of getting presentation images, I do take as many pictures as I can in hopes that they can be used for something productive. Fully editable Microsoft PowerPoint presentation template. Bronze and gold farming and agriculture theme with a photo of a field. This one would be good to be used for presentations about droughts as well! The photo for the cover slide of this nature PowerPoint template is actually a close-up view of the dead grass in a community park near where I live. At the time, I wasn’t really thinking how I would use this photo, but upon later review it seemed generic enough to use it for an farming and agriculture theme. And “generic” is the important word here – there’s really nothing about this template that is specific to the farming industry, but I figured that the texture of the bronze grass had that kind of a feel to it. You may or may not agree with me, but I don’t mind. You can use this template for whatever you’d like! My reason for adding the transparent black cross texture to the cover image was not really a good one – I was trying to darken up just portions of the image while leaving other portions bright, so I thought I would experiment a bit with those shapes. I’m not totally convinced it was the right thing to do but I left them in there for the heck of it. 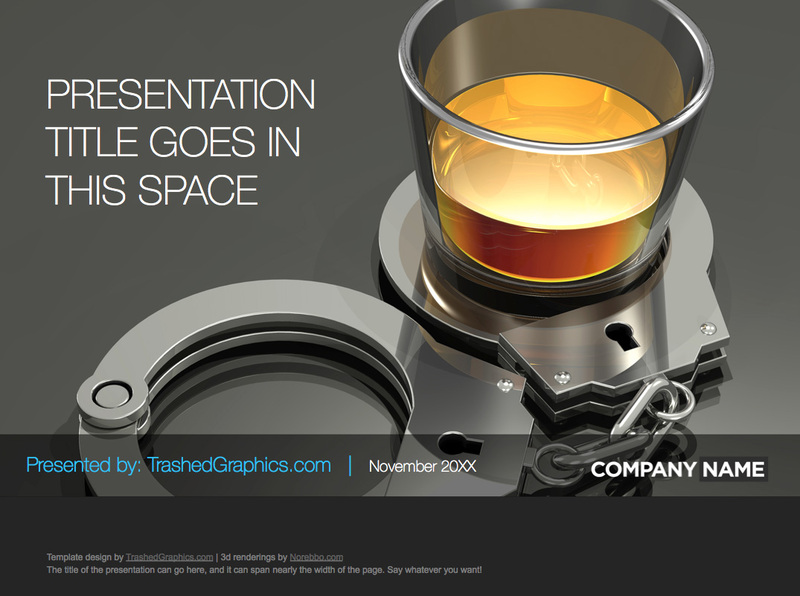 That design element helps to create beautiful PowerPoint templates sometimes. Other times, not so much. Although I have a deep appreciation for good photography, it’s frustrating sometimes because it takes a lot of effort to take really good pictures on a consistent basis. Because of that, my camera never really used to come out of the bag unless I was traveling or doing out of the ordinary things. That all changed when I got my first smartphone back in the summer of 2009. The quality of the camera in that iPhone 3GS wasn’t all that great, but having a camera with me wherever I went totally blew my mind (and greatly expanded my opportunities to get nice pics to create beautiful PowerPoint templates). I found myself taking pictures of ordinary things that I never even considered in my pre-smartphone days, and as a result, I quickly started to build up a pretty nice collection of artistic photos to integrate into my work. 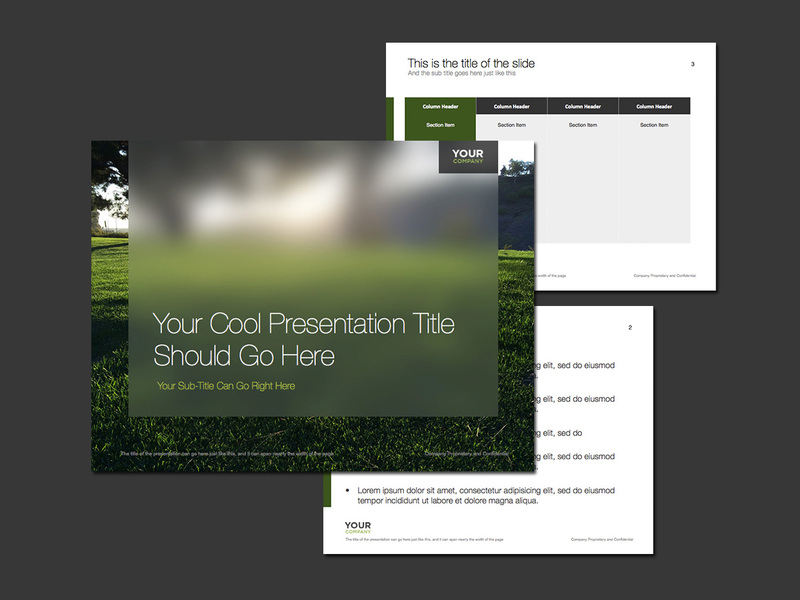 This PowerPoint template is a perfect example. The cover slide of is a photo that I took several weeks ago during an early-morning walk through the neighborhood. I thought it would be a perfect image for a presentation about nature or any other type of “green” topic, because…well…what’s more natural than grass and trees? Fully editable Microsoft Powerpoint presentation template. Grassy morning sunrise theme – which just goes to show you that it pays to wake up early sometimes. Also, I think that a really thin 1-pixel line drawing of your company logo or icon would look really cool over top of the dark sections, so please feel free to experiment with this and make it your own. It’s rare that I’m ever satisfied with anything I do, so I’m not ashamed to tell you that there was something about the previous template that was bugging me – and it took me a little while to put my finger on what exactly it was. I liked the colors and the contrast of the light quite a bit. The typography seemed to work ok. The accent colors of the interior slides seemed to be working as well. But…that cover slide. It needed more. I eventually decided to add a frosted transparent panel over the photo of the grass and trees. At first I liked it, and then I started to think that it was unnecessary and somewhat distracting. The background photo of the bright green grass and the trees was visually rich, and I was starting to think that I made a mistake by masking it with that frosted overlay. A slightly different version of the one just above. The frosted white content box on the cover slide gives it quite a different look IMHO. The addition of that frosted transparent container grew on me after just a few days and this nature PowerPoint template was spared from the trash can. So what do you think? Is this one better than the other? I tend to think it is, but I’m curious if anyone else has an opinion! Finally, here is the last template based on photos that I took during that drive across the USA about a month and a half ago. The photo on the cover slide of this template was shot in the early morning hours along the Little Tennessee River just south of Knoxville, TN shortly after a heavy downpour passed through the area. To be honest, I was actually really surprised how beautiful this area was – I’ve always heard it was nice, but not like this! Fully editable Microsoft PowerPoint presentation template. Foggy and misty lake theme. This photo was perfect for a nature PowerPoint template cover slide image, mainly because the greenery and the mountains on opposite ends of the picture provide for a nice frame for the title text to fit into. It seems like a natural fit, don’t you think? It wasn’t totally perfect though, as it wasn’t quite dark (or light) enough to place the text directly over top of. Therefore, I had to place my “signature” horizontal transparent black banner across the middle of the slide to get that extra little bit of contrast I was looking for. You might also notice that I tried using this image on the interior slides as well, and I’ll leave it up to you to determine whether or not that works well. I don’t normally use full-page background images for the interior slides of my ppt templates, but I think the neutrality of this picture makes it look ok without being too overpowering. You can remove it from the master slides if you think it is too heavy for your content. I like it both ways – sometimes it’s nice to have rich imagery in presentation templates, but other times simplicity (and a pure white background) is best. Between this one, the blue Water Drops theme, and the Western Plains version, I think I’m going to pick the Water Drops template as my favorite from this group. Which of these nature PowerPoint templates do you like the best?